The Report of the Committee on Indigenous Systems of Medicine, Madras (1923), commissioned by the Madras government in 1921, is the first major health report to be published in India. It is commonly referred to as the Usman Report, after the committee's chairman Muhammad Usman. Its main purpose was to provide indigenous practitioners with an opportunity to put forward a strong case for state encouragement and financial support. The second volume of the Usman Report, titled “Written and Oral Evidence," mainly consists in written responses to a questionnaire relating to theoretical, practical, economic and institutional dimensions of medical practice. Practitioners’ responses were sent in from all over the Indian subcontinent, including accounts in vernacular languages as well as responses in English and Sanskrit. The section on the written submissions “From the Presidency of Madras” includes many submissions in Dravidian languages. There are ten substantial articles in Tamil and an article each in the South-Indian languages of Telugu, Malayalam, Oriya, and Kannada. As part of the ERC-funded Ayuryog Project: Entangled Histories of Yoga, Ayurveda and Alchemy in South Asia, a collaborative translation of the indigenous language submissions (Dravidian languages, as well as Sanskrit and Urdu) into English is being completed. This translation is intended to be published online, in order to make more accessible this original material, which might be of interest to medical anthropologists and historians of science as it gives a picture of the practices, conceptions and socio-political issues of medicine at the beginning of the twentieth century by the practitioners themselves. 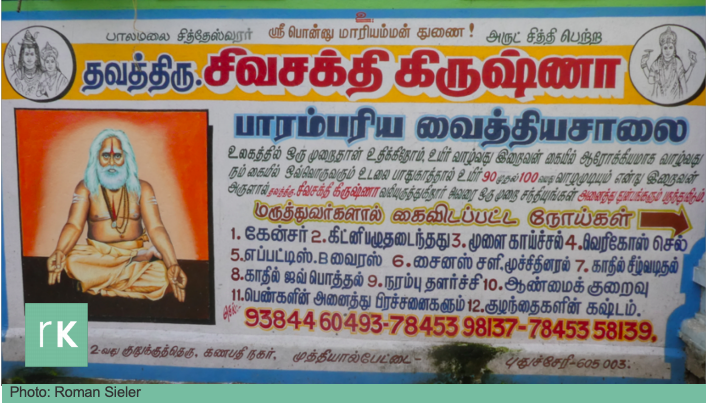 In this lecture, I am going to introduce the Tamil testimonies, and discuss the question of their relevance as a resource for Siddha Medicine, Yoga and Alchemy.